Red Piquillo Peppers from Navarra are peeled by hand, without water, to maintain all of their properties and the genuine flavour of Navarra. 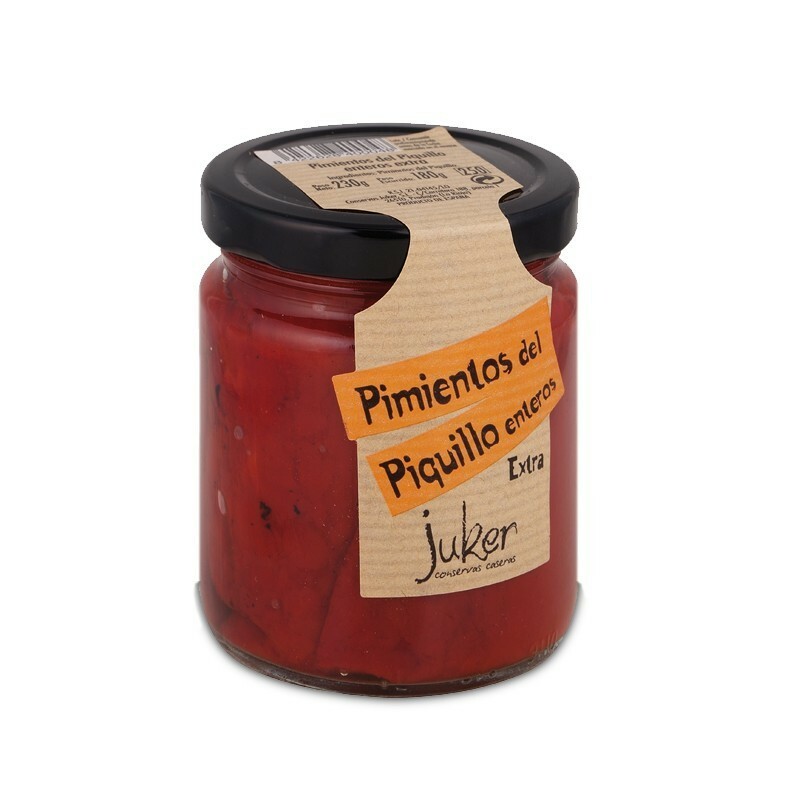 The piquillo pepper is one of the most sought-after products from the Navarran vegetable garden. It can be distinguished from other varieties of peppers by its distinctive flavor and quality for which it has developed international recognition and acclaim. The piquillo pepper, or red gold of Navarra, is a singular and native variety, unique within its own genus, which reaches its maximum taste quality cultivated within Navarra and its municipal limits. They may be consumed hot or cold. In salads, as a side-dish to meats and fish, stuffed with chilled fillings (tuna, egg, onion…), or with hot food fillings (codfish, minced meat, rice, seafood, etc.) The ideal condiments for a wide range of dishes.